Along with the trends of plastic injection mold making companies transferred from developed country to China, Chinese plastic mold making industry grows rapidly, and the competition goes more intense. China has the world's most extensive manufacturing industry, a huge manufacturing system mean a huge market for injection mold making industry, all the manufacturing industry rely heavily on the plastic mold making. Plastic injection mold industry occupied a special position in the manufacturing, it's the level of development determines the overall level of manufacturing in a country. In the past 10 years, China plastic injection mold industry has maintained a rapid development speed, during 2003-2013, output growth remained above 19%. China injection mold making industry gained a substantial growth in production capacity, turnover and profit compared with last year. According to National Bureau of Statistics, 1589 plastic injection mould manufacturing companies, which have medium or above size, have been selected to be study object, total sales revenue of them reach 163.988 billion Yuan, achieved increase of 27.35%; gained total profit of 10.71 billion Yuan, achieved increase 13.76%, total assets of them reached 139.482 billion Yuan. Injection mold technical and technological level keep improving significantly, it will greatly enhance the ability of domestic companies to take advantage of the market, and eventually it will create a big difference in the manufacturing quality and industry scale in the next 10 years. It goes fiercer and fiercer in the international market; American and Japan still take the lead in high precision injection mold market. Geography, the Yangtze River Delta and Pearl River Delta is Chinese two major injection mold making base and sales distribution center. From the nature of the enterprise, the number of 2011, foreign and Hong Kong, Macao and Taiwan-funded enterprises, the proportion of revenues and profits reached 40.97 percent, 44.95 percent and 48.35 percent, occupy a very important position in injection mold making industry competition in China. Plastic injection mould making level has become an important symbol to measure the capability of a county's manufacturing. 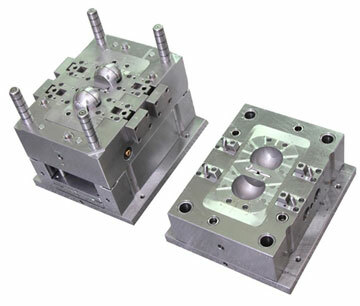 In the fast 10 years, China mold makers had made significant progress and rapid grows. Fast growing of mold making capability enlarged the supplying capacity of consumer products unlimited, and during these 10 years, China become to the largest manufacturing factory, China maintain 2 figures increasing for 10 years long, China mold makers play a significant role for the great achievement. Plastic injection mold is considered as a necessary and mature tool for massive production in our time, it makes massive and economical production possible in a fast changing market, cheap and a wide variety of plastic products are developed and purchased by end customer. In turn, strong demands of consumer plastic products create plenty of opportunities for injection mold making industrial. However, there are still many reality problems to face. 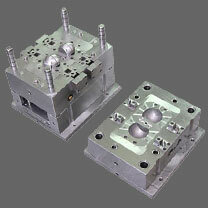 Injection mold making was considered to be a technical intensive and capital-intensive industrial. First problem will be human resource, China had a large number of cheap labor resource, but that's just an advantage for low value added industrial, plastic injection mould making however, require skilled technicians whom has acknowledge of mechanical drawing, machine operation, heat treatment, and even the material properties, it takes years to become a qualified mold maker. There is an interesting phenomenon, when you visit an injection mold maker in China, you would probably see their companies are full with passionate but young toolmakers, they are all young! It was totally different with what you see in an injection mold company of Europe or USA. They have much more older technicians and they are more sophisticated and skilful because they may have already experiences in mold making industry for more than 30 years. It would be a long way to go for Chinese plastic injection mold makers, accumulation of technology is a long process to go step by step, it needs time. The second problem would be equipment developing, in modern mold making industrial, precision mould making processes require high precision and high efficiency equipment, CAD / CAE / CAM technology accelerate this trend, the truth is the Chinese mold makers depends heavily on import equipments if they are trying to target high-end market, such as medical and automotive market. Local equipment manufacturers are not able to fulfilled this kind of requirement. This problem must solved before China mold maker can compete with other world class injection mold companies. There are already some good signs suggest China injection mold makers are approaching the right path to become more and more competitive.